Matthews has until May 30th to decide whether he’ll return to Michigan on remain in the NBA Draft. Matthews wasn’t invited to the NBA Draft Combine and is not projected in the ESPN’s latest mock draft. He discussed the evaluation process with reporters after the workout. On his relationship with Gary Harris: “Michigan State recruited me out of high school so it was good to see him. (We’ve stayed in touch) through social media, but I haven’t seen him face-to-face in a while. On what he hopes to gain from the process: “Really just trying to wear all my options out. Basically go through all of the workouts that I have scheduled and just reconcile with my family and do what we feel is best. Video and photo via Nuggets. 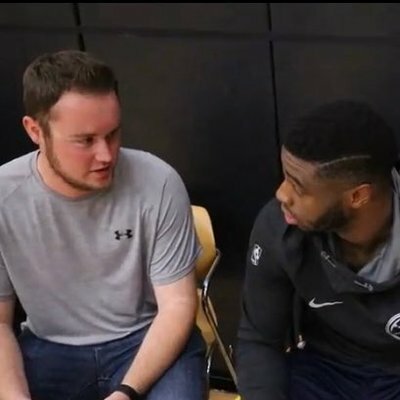 CM wasn’t invited to the NBA combine, not listed in mock drafts, I don’t understand how he can still be considering the draft. Well the primary reason is to workout for NBA teams and gather feedback. The reason he declared in the first place. And he’s right. He is an NBA athlete. He can defend multiple positions, and he can create his own shot, but he DOES need to improve on that, especially from three, and he needs to continue to work to find open teammates when he takes into the lane. An improved handle in general would help, too. BUT, while he’s right in everything he said, will they DRAFT him this year? To me that is the multi million dollar question, pun intended. Even if he would be drafted in the second round there is no guarantee he would make the team that drafted him, or an NBA team at all, and I truly believe next year, if he works on those things they tell him to work on, he will be a first round draft choice and perhaps a high first rounder in the top 15 or 20. And THAT would come with a guarantee. Of course it IS his choice with the advice of advisers like his parents, our coaching staff, NBA execs and others he trusts. I hope they advise him well. As always, I wish him only the best.